A Little Dance for Bill (2009), a quasi-tango for mechanical piano, is dedicated to William Bland. 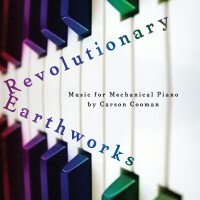 The work designed to be performed by a mechanical (player) piano (e.g., Yamaha Disklavier or PianoDisc). This work is a simple dance in E minor. The two melodic voices engage in heterophonic counterpoint over an ostinato in the bass. A series of bell-like chords briefly asserts itself, before the dance resumes.